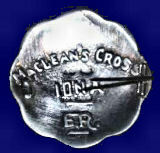 Unusual Glasgow 1921hallmarked silver cross, design on one side only. 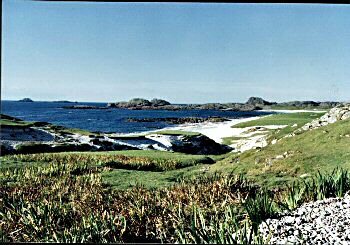 Marked AR and Iona. 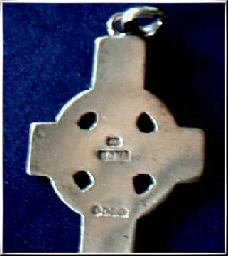 Iona St Martin's Cross in silver, design on both sides, double markings of AR IONA on the side, and an AR 'spectacle mark' combined with a Glasgow hallmark of 1911 (pre-thistle hallmark) in panel at the bottom of the reverse. 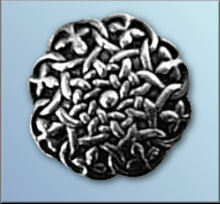 This is believed to be one of the earliest known pieces of Glasgow-hallmarked Ritchie silverwork. 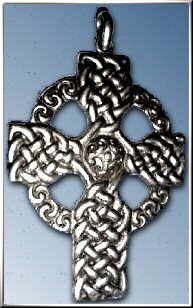 Iona cross by Alexander Ritchie, heavy silver, approx 3.5" long, hallmarked Glasgow 1926. 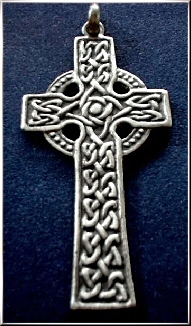 Sterling silver St Martin's cross by Alexander Ritchie, set in an Iona marble base. Overall height approximately 10cms including base. 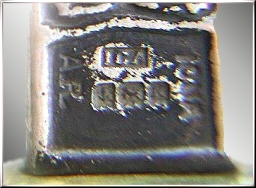 The marks are A.R Iona and the ICA stamp, with a Birmingham hallmark for 1933.